La Zagaleta today is one of the most exclusive residential areas in Europe. Set in over 900 hectares of Andalusian countryside in the beautiful Serranía de Ronda, within the municipality of Benahavis and less than 10km from the coast. La Zagaleta sits in the foothills with lovely views to the surrounding countryside down to the sea, to Gibraltar and across to Africa. The facilities in this private country club are second to none; there are two 18-hole golf courses, an Equestrian Centre, tennis and paddle tennis courts and a 5000 m2 club house with restaurant, private dining, bar and cafetería, as well as a bowling alley and a private discotheque. There is 24 hour-security via only two entrances, and a private helipad for owners use. There really is every facility available for the discerning buyer and all within a pristine country environment yet close enough to the hustle bustle of the coastal areas if required. La Zagaleta has changed and evolved over time. The beautiful Andalusian rustic style properties which were built in the mid to late 1990s still retain their charm and are very well suited to the surrounding area. However the recent demand has moved towards a more contemporary design with every modern feature available. There really is property to suit all tastes in this unique enclave, and there are still plots available to develop should you wish to get involved in the designing and building of your own home. 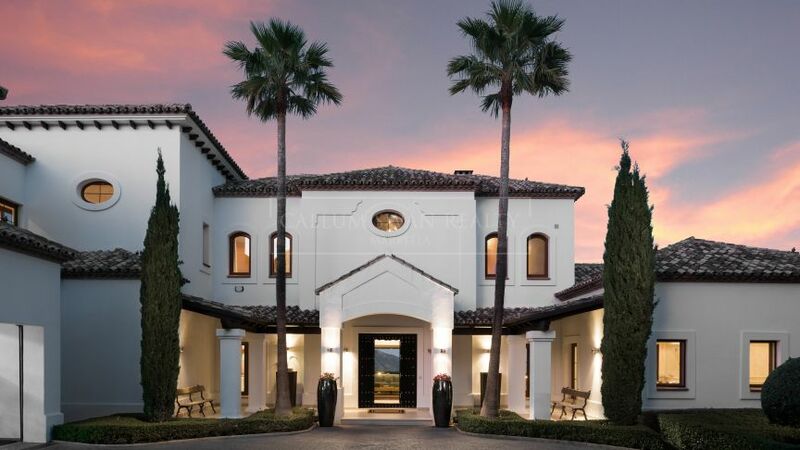 We have been involved in this private Country Club estate since the very beginning back in 1991 – before construction began, when the dream was just beginning. The beauty of this special place was breathtaking, the views, the wildlife and the concept of a private Country Club really was unique. Louise formed part of the sales team when La Zagaleta was launched, and I started to sell plots there in 1995. We have of course seen many changes along the way. There have been some small political issues in recent times between the owners and the original developers, however these have now been resolved and we predict a very bright future moving forward. The re-development of the Club House will shortly begin and this combined with the release of a new sector of available plots will generate new interest in this wonderful development. We have a special selection of villas and plots available in La Zagaleta and we would be delighted to share our experience with you. Apart from the new homes which are currently being built, we have seen a tendency to purchase some of the earlier properties, which although less than 20 years old, many have a most privileged position within La Zagaleta, which new buyers value for the view and location – so we predict that we will also see some newly refurbished properties come to market. We are great believers in the future of La Zagaleta and have been involved in over 15 residential transactions of villas and plots in this area and we feel qualified to help you find a home here.